Smart Agile Power: Digital timer rotates charging to each shelf every 10 minutes, ensuring a safe charge. 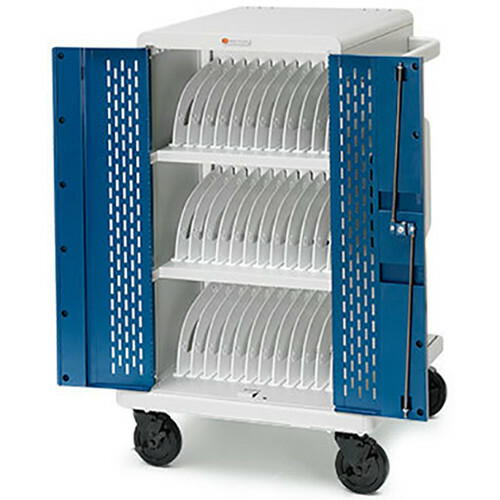 Versatility: Ability to accommodate 90 degree outlets and rear door entry. Industrial Grade Wheels: 5 inch wheels with locking casters. Built to last, each unit is fully-welded and produced with USA-sourced steel. Ships fully assembled and ready to use. Also includes power cord and padlock.